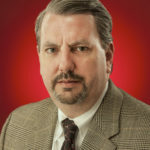 Sen. Gerald Dial, President Pro-Tem of the TROY Board of Trustees, delivered remarks to TROY graduates at three commencement ceremonies in Vietnam. Sen. Gerald Dial, president pro-tem of the Troy Board of Trustees, encouraged newly minted graduates in Vietnam to put what they had learned to use in order to make a difference within their communities. 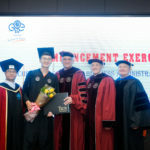 Dial, who has been a member of TROY’s Board of Trustees for nearly 30 years, traveled last week to Hanoi and Ho Chi Minh City (Saigon) with Chancellor Jack Hawkins, Jr., Dr. Earl Ingram, Senior Vice Chancellor for Academic Affairs, and other University officials to award degrees at three commencement ceremonies. Dial encouraged graduates to be leaders within their communities, to encourage others to follow in their footsteps and to become life-long learners. Troy University began offering courses in Vietnam in 2004. 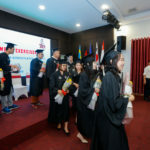 The first students graduated in 2008, making TROY the first U.S. university to award the baccalaureate degree in Vietnam. There are over 1,000 TROY graduates in Vietnam, including many rising leaders in business, government, military and education. International partnerships like those in Vietnam have helped transform TROY into Alabama’s International University, Dr. Hawkins said. 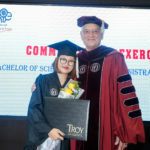 TROY officials awarded 27 degrees on Oct. 28 during commencement ceremonies at the University of Economics & Business, Vietnam National University in Hanoi; 24 bachelor’s degrees at Hanoi University of Science and Technology on Oct. 30; and, 16 bachelor’s degrees at Saigon Technology University on Nov. 1.